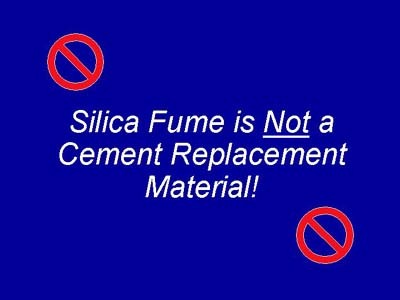 Silica fume can be used to replace cement in a given concrete mixture while maintaining the same compressive strength. The relative costs of the two materials do not make this a practical approach to saving cement. If cost saving is the goal, fly ash or blast furnace slag is a better replacement material for cement.